SIZE: Figure is approximately 5 inches H.
MEDIUM: Vinyl, packaged in a windowed box. 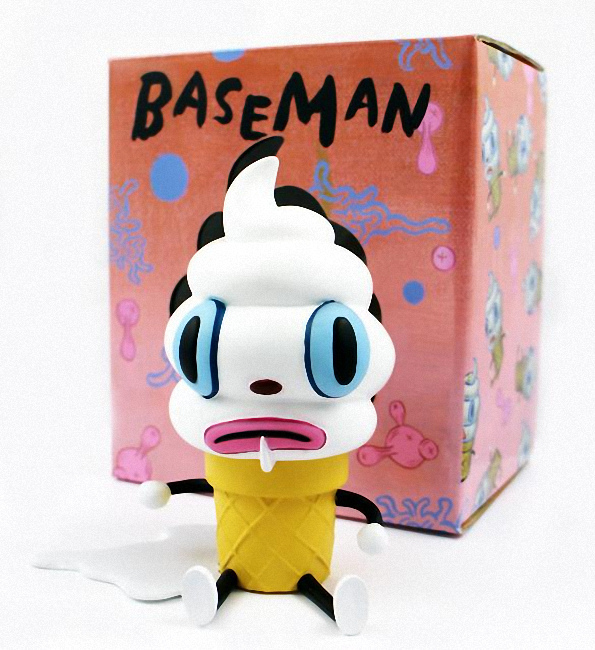 “Pervasive artist” Gary Baseman works in illustration, fine art, toy design, and animation. He created the Emmy-winning ABC/Disney cartoon series, Teacher’s Pet, and is the artistic designer of Cranium, the popular board game. Baseman’s aesthetic combines iconic pop art images, pre- and post-war vintage motifs, cross-cultural mythology and literary and psychological archetypes. YHWH is a vinyl sculpture created in conjunction with Necessaries Toy Foundation after the central figure in Mark’s painting of the same name. In production for more than a year, the piece is cast in pink vinyl with inset, high-quality eyes and comes in an elaborately designed embossed box. 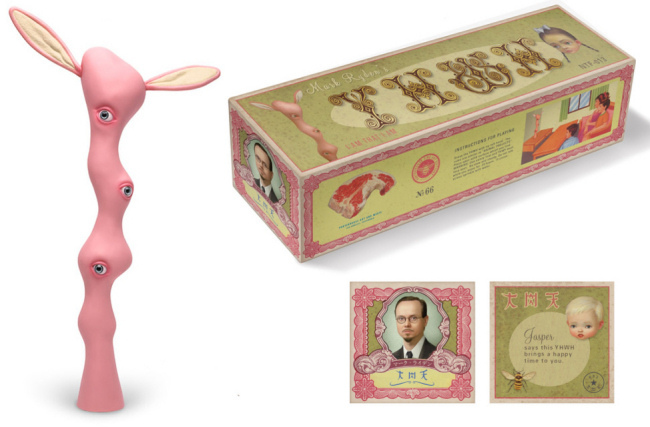 It is the first and so far only editioned figure by Mark Ryden. This is one of the most sought after pieces of designer vinyl made to date. 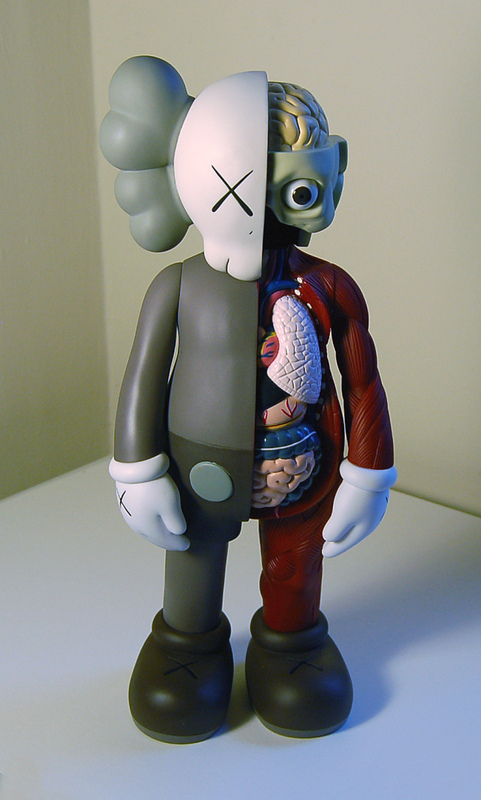 KAWS’ The Dissected Companion 5YL is instantly recognized as the character from the latest parade float in the Macy’s Thanksgiving Day Parade in NYC. This is one of the most sought after pieces of designer vinyl made to date. 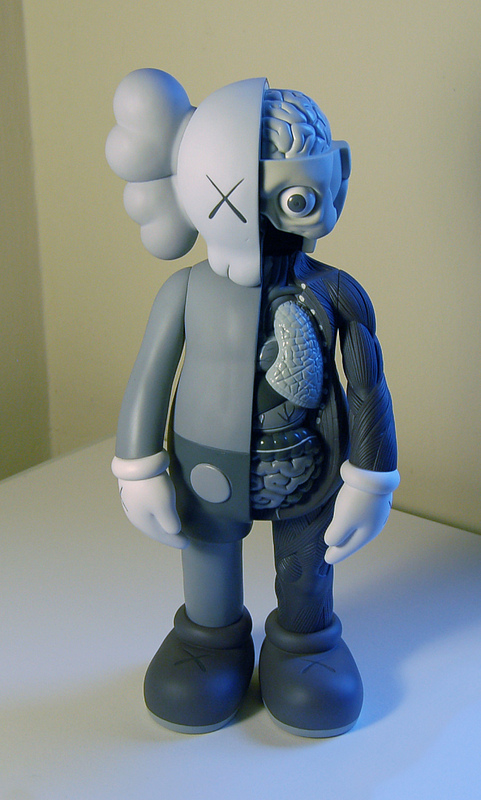 KAWS’ The Dissected Companion 5YL is instantly recognized as the character from the latest parade float in the Macy’s Thanksgiving Day Parade in NYC. A must have for the serious collector. 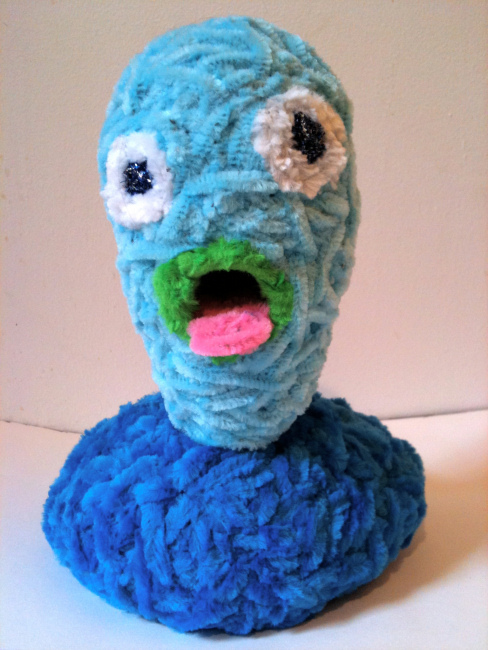 Beast of Burden, Don Porcella, pipe cleaners, 6 x 5 x 5 inches, 2012. 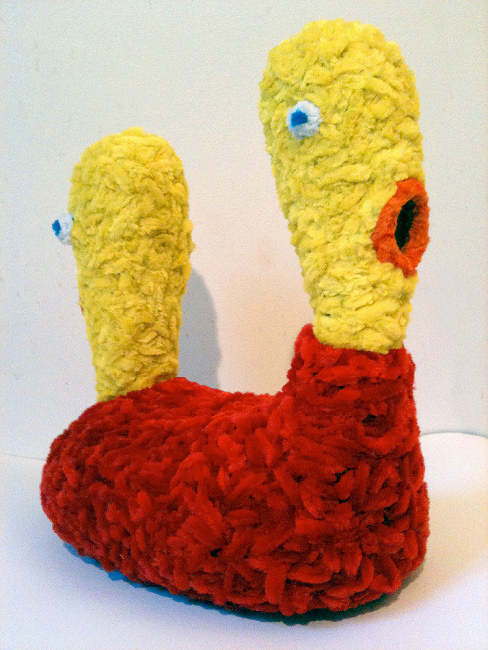 Two Heads Are Better Than One, Don Porcella, pipe cleaners, 10 x 8 x 5 inches, 2012. 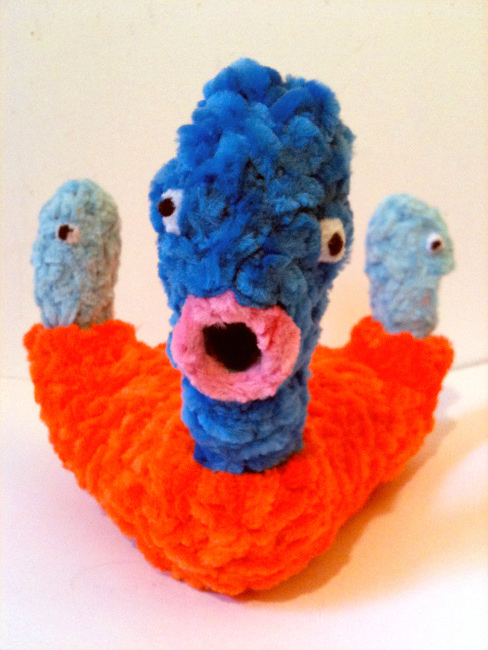 Four Headed Monster, Don Porcella, pipe cleaners, 5 x 10 x 8 inches, 2013.